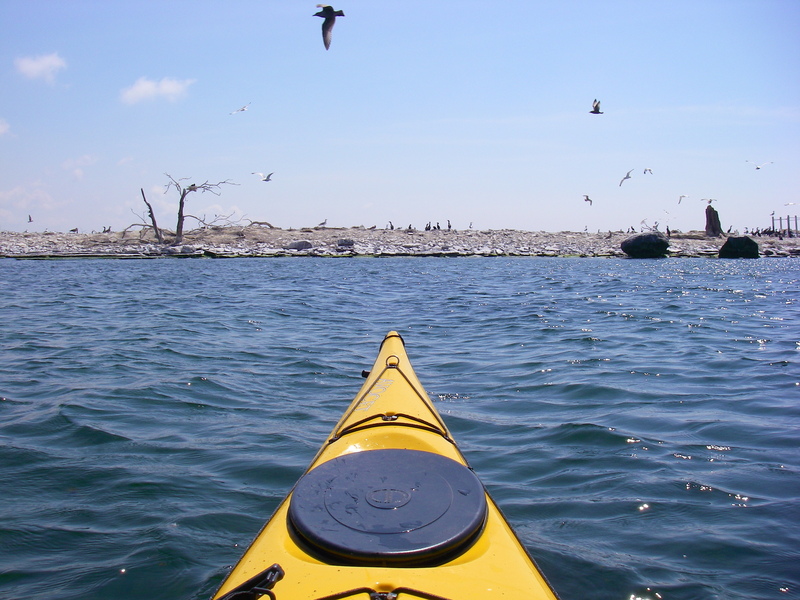 Last Saturday the weather was beautiful and perfect for a kayaking day trip on Lake Ontario – stable high pressure, neither too hot nor humid, a moderate SW wind, and some small waves to keep things interesting. I really enjoy the days when I have a swim or paddle in my workout plan – they add some variety and keep the upper body in shape for skiing. As any skilled paddler will tell you, kayaking is much more than an arm workout. In fact a good paddle stroke should not have much flex in the elbow and most of the power should come from torso rotation. This means that all sorts of core stabilization muscles are used. I also paddle a boat without a rudder so steering is achieved by edging the boat which requires core muscles and power transfer through the legs which can make the hip flexor muscles quite sore. 20km in three hours. 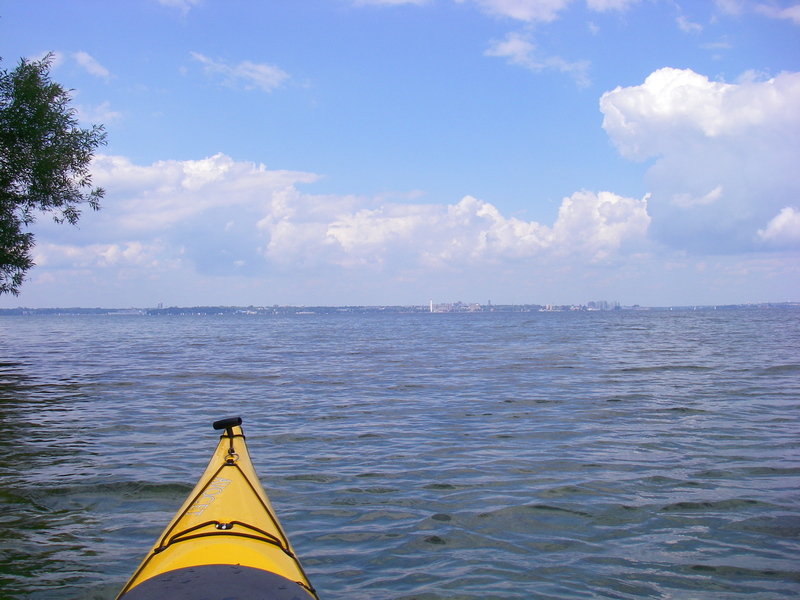 Paddling an empty kayak is much easier than the heavy touring boats I’m used to. 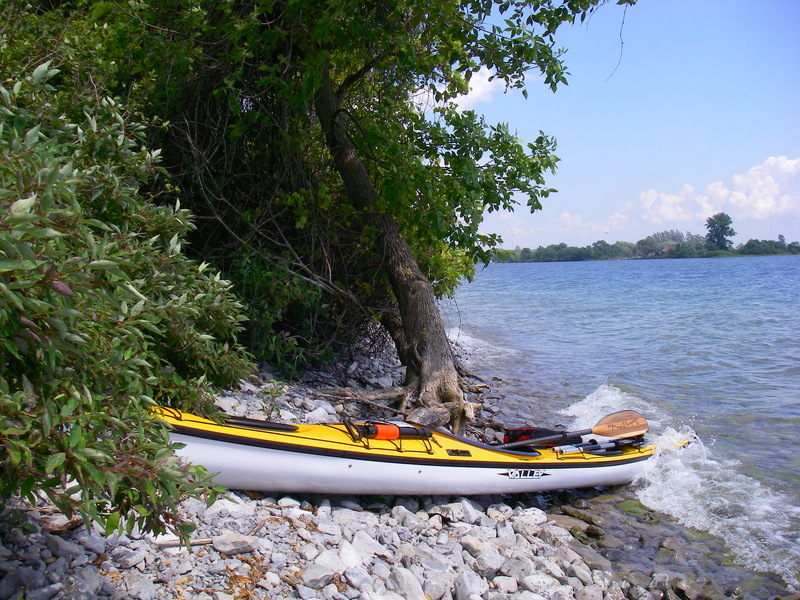 For anyone familiar with Lake Ontario near Kingston, I paddled from the old coal dock, crossed to Snake Island, and continued SSW to the western tip of Simcoe Island. 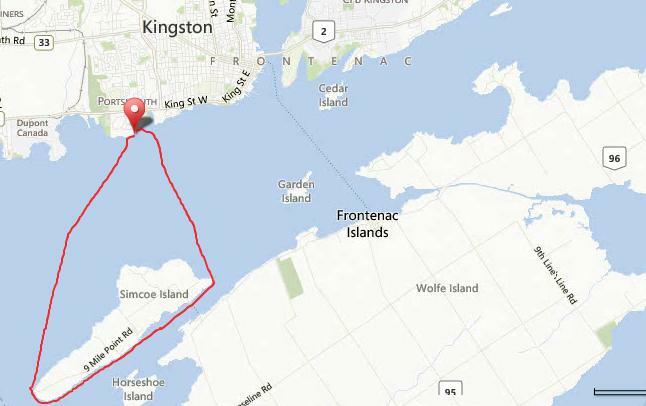 Then I turned east and paddled the calm channel between Simcoe and Wolfe Islands before heading back north to Kingston. 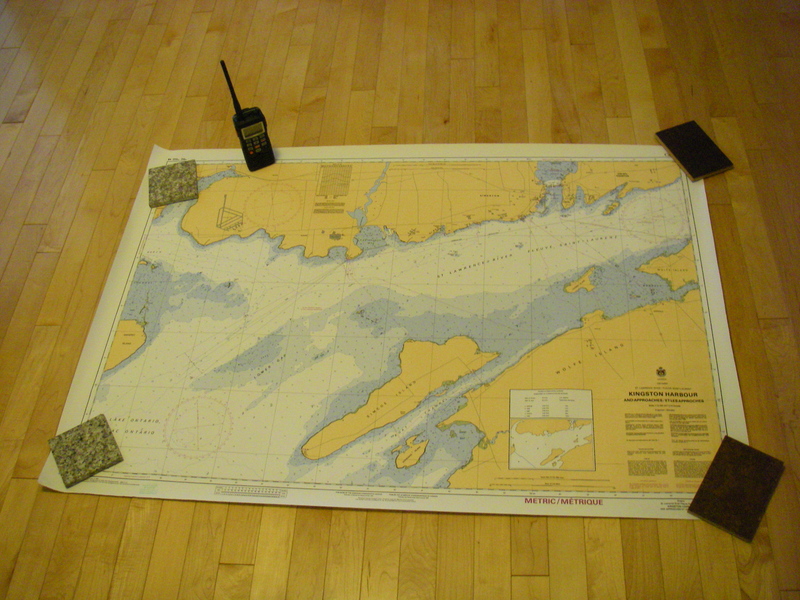 Plotting the day’s route, and checking the VHF radio forecast. A good chart or map is a work of art in my opinion. The first stop of the day was Snake Island – a previously treed island – until the cormorants invaded up a number of years ago! 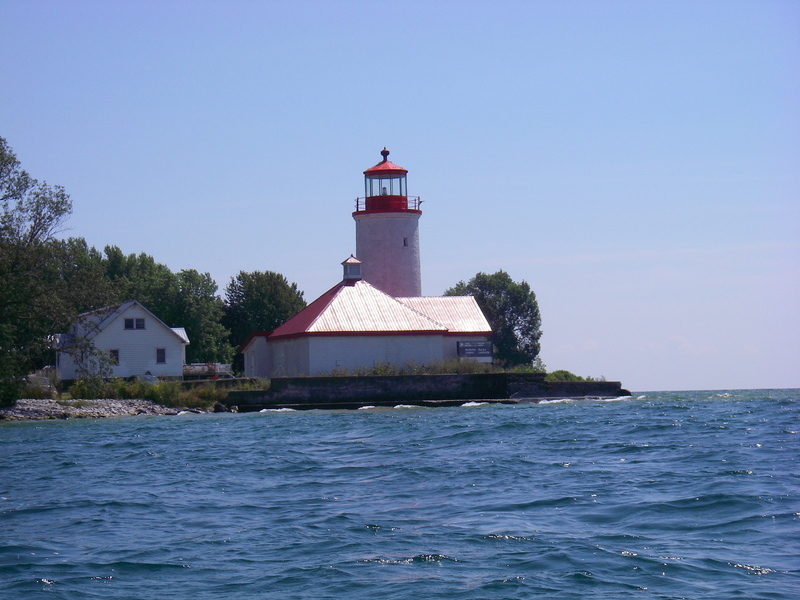 Nine Mile Point Lighthouse on the western tip of Simcoe Island. 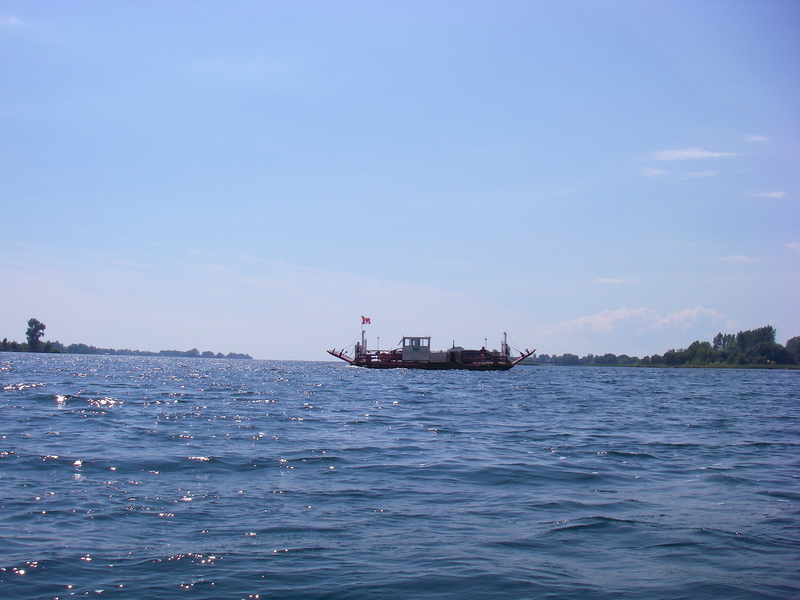 Dodging behind the cable ferry which serves Simcoe Island. A quick snack and bathroom break. The boat and new paddle in all their beauty. Ready to cross back to Kingston. On my return to Kingston, the CORK racing series was in full swing. I had to keep my eyes peeled, find the markers for the race courses and stay out of the way of the speedy 49er class boats. 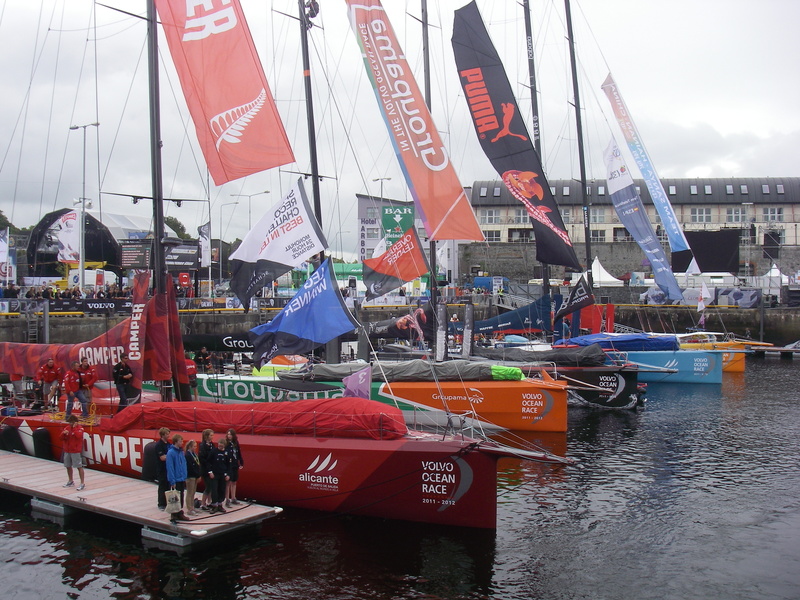 My interest in sailing was reignited last summer when I was in Galway when the Volvo Ocean Race boats came into port at the end of their epic race. It would certainly be a more typical sport than cross country skiing for an Irishman like me to take up – but it’s a bit beyond my budget at this point! Volvo Open 70s in Galway. 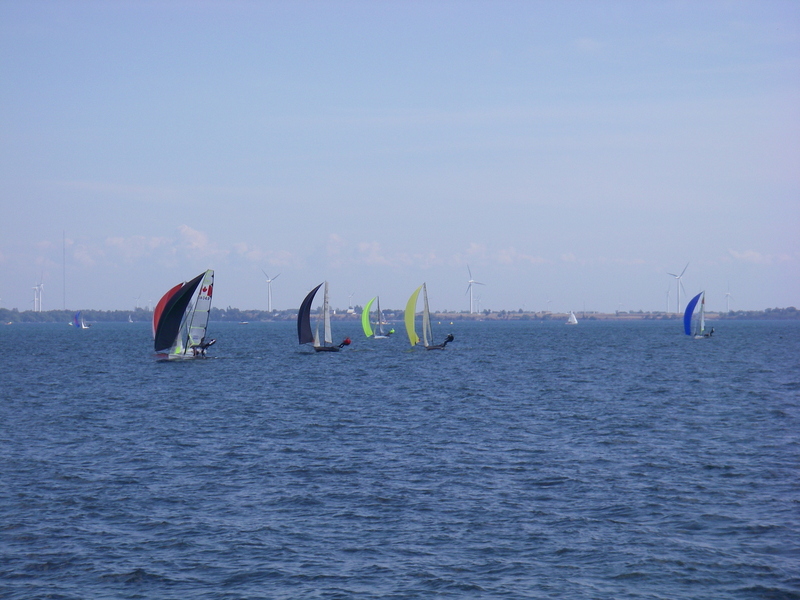 CORK racing action with the Wolfe Island wind turbines in the background. Thanks for reading Ken. It looks like you’re in a good mood – smiles all around!